I am a software engineer working on the LINE AD Platform. Hello you all, this is Kunihiko Sato, a member of the LINE AD Platform. 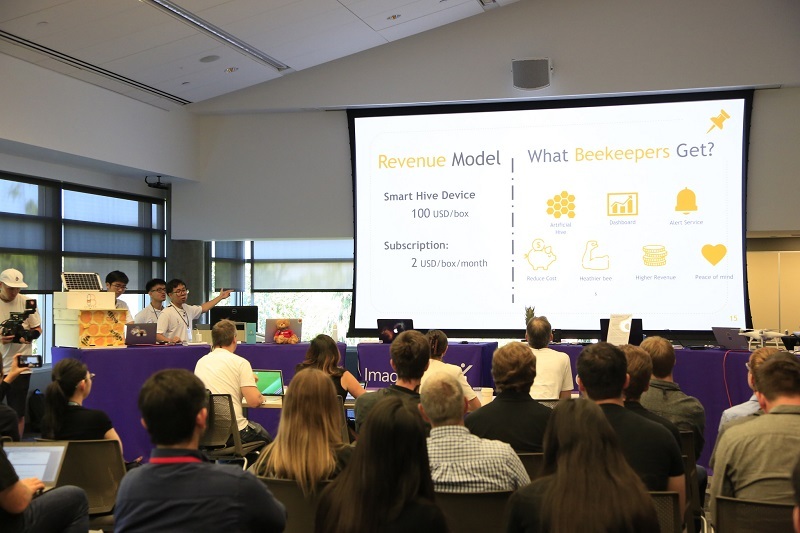 Imagine Cup, an IT conference organized by Microsoft was held in Seattle from July 23–25 2018, which I attended as a representative of Japan. 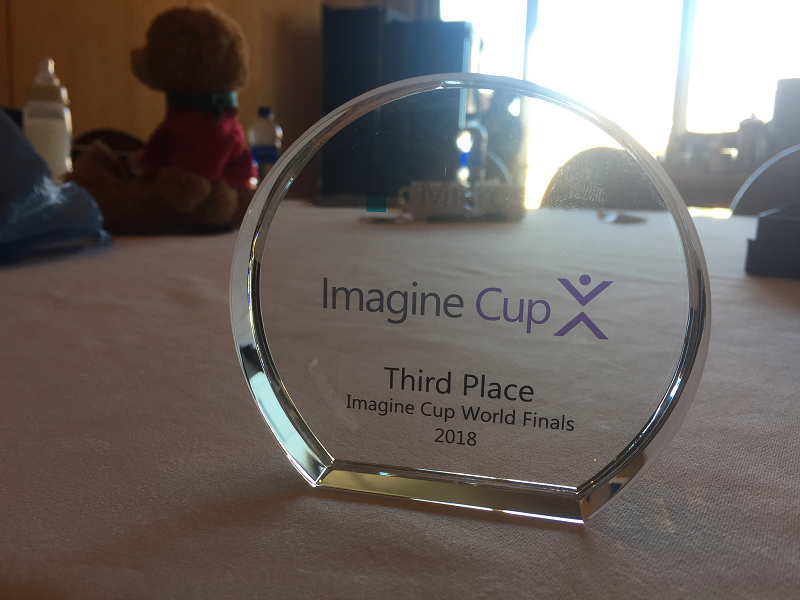 I’d like to share my experience there and story on winning third place. 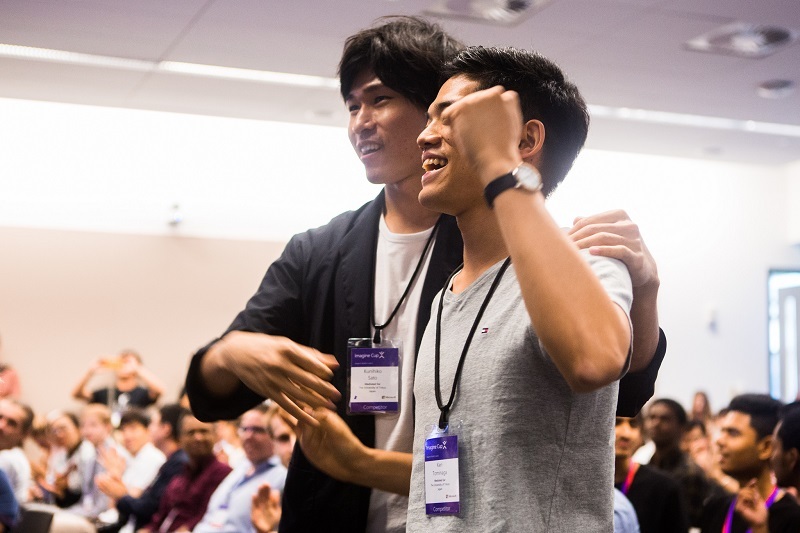 Imagine Cup is open to students, and for this year’s event, anyone who was a student even for a single day between September 2018 to July 2017 was qualified to enter. Since I graduated from my postgraduate school in March 2018, I was qualified to enter. 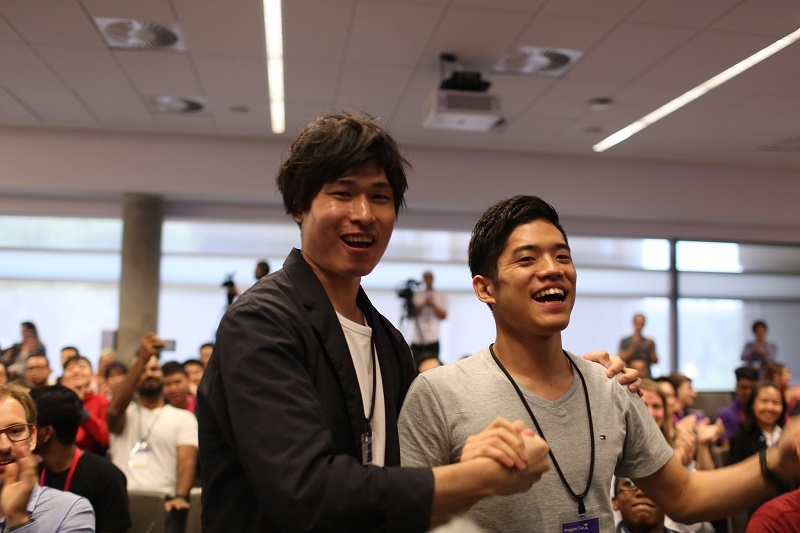 Imagine Cup is a developer contest for students to create innovative applications using technology. Participants can choose the genre or theme for their product. 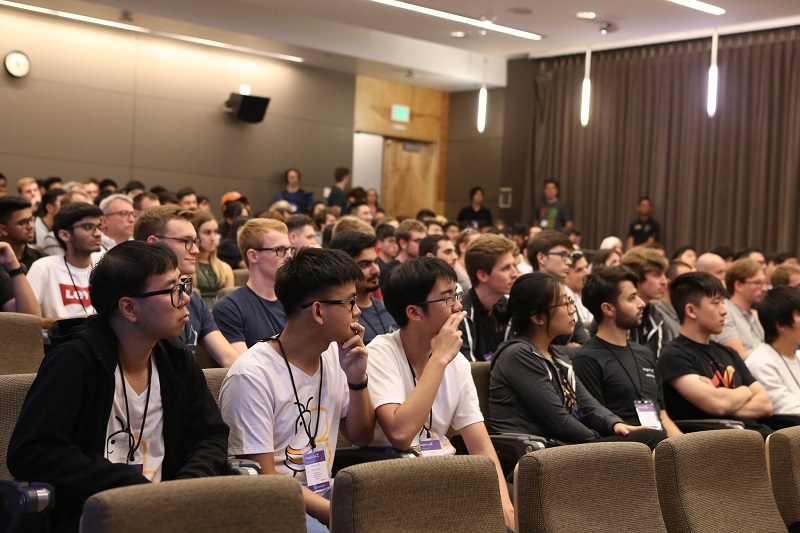 To this annual event, participants come from all around the world, and this year, more than 3,000 teams applied to enter. A total of 49 teams were qualified for the world finals after winning regional finals. 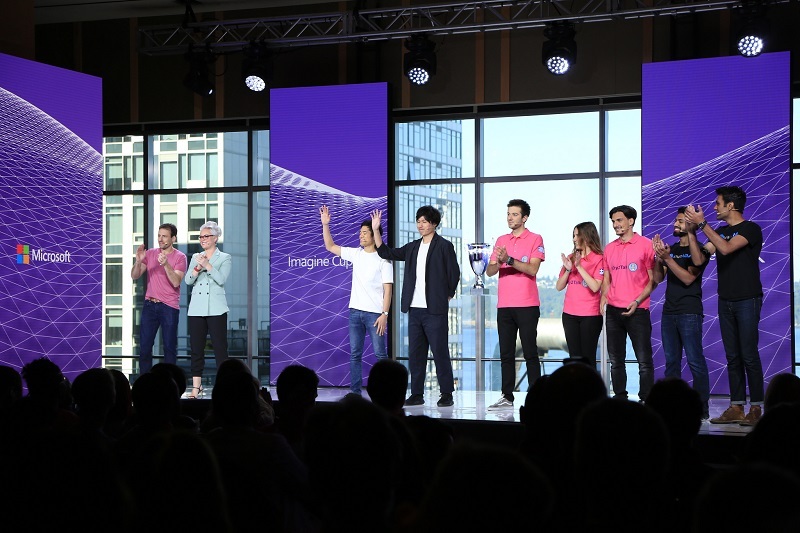 The winning team was to be awarded $85,000 USD, Microsoft Azure Grant, and a remote mentoring session by Satya Nadella, the CEO of Microsoft. By the way, LINE has been sponsoring Imagine Cup Japan from 2017. 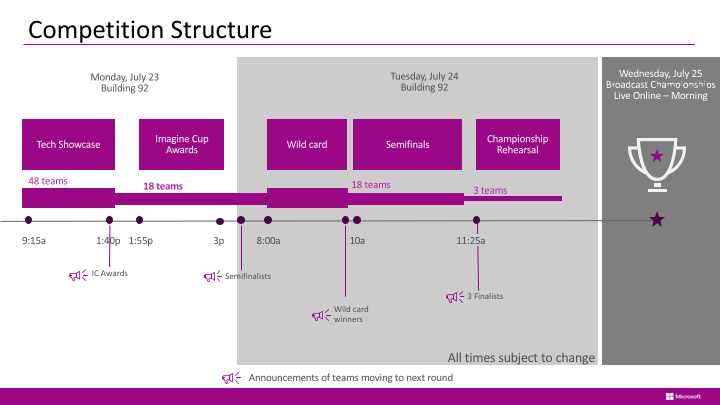 Imagine Cup was run as a tournament. The first round is run as a tech showcase where you demonstrate your product to the judges team by team. In the second round, you need to do a live presentation for three minutes with a Q&A session. Out of 49 teams, 15 teams are qualified for the semifinals, with an addition of three teams through a wild card round. Only three teams go through to the final round in which the winner is decided. The finals run for three days. 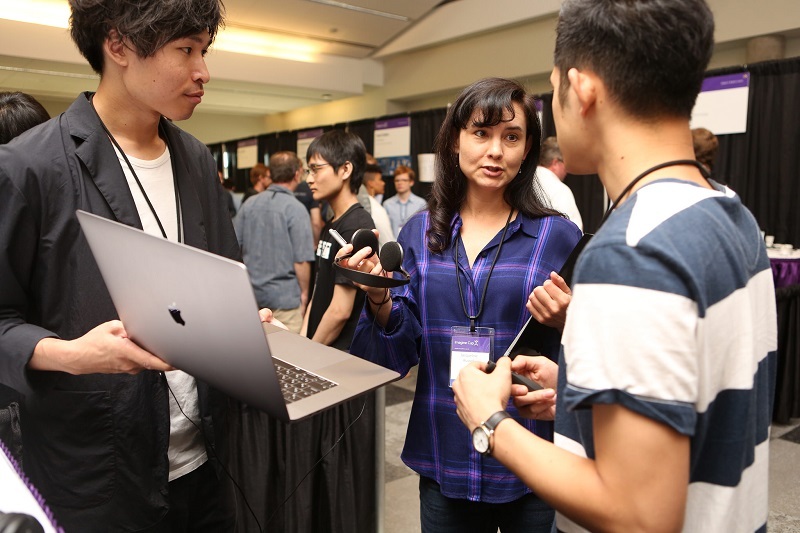 The first day was when the tech showcase was to be held, followed by semifinals on the second, and the final round on the third. 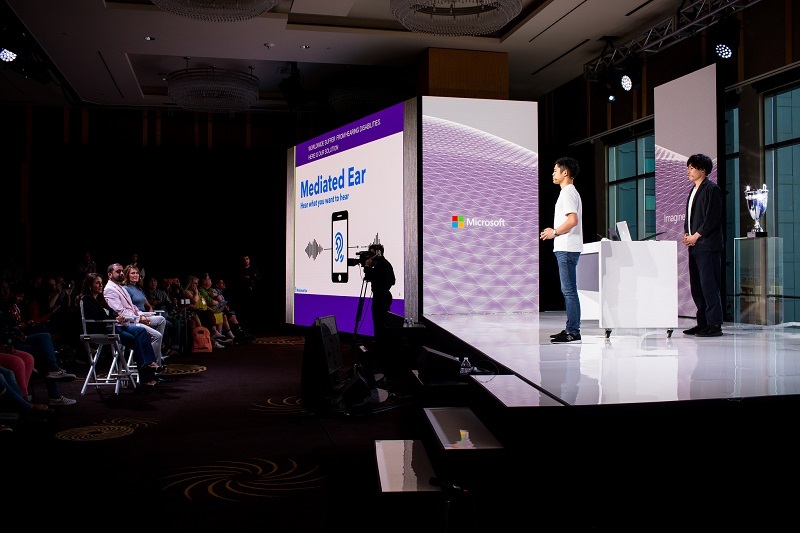 Our team developed an application for those with hearing impairment, Mediated Ear, which extracts the voice of a certain person from a source containing noise. It’s us waving in the picture below, and the person on the right is me. 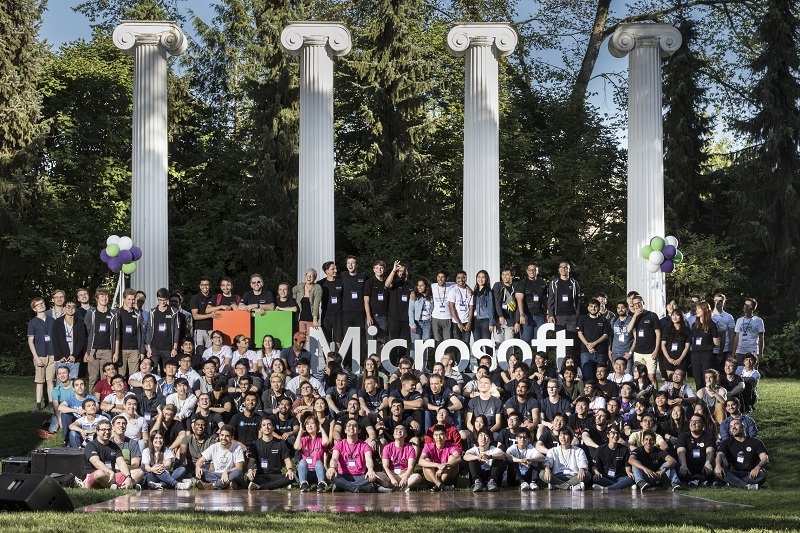 The world finals was held at the headquarters of Microsoft. 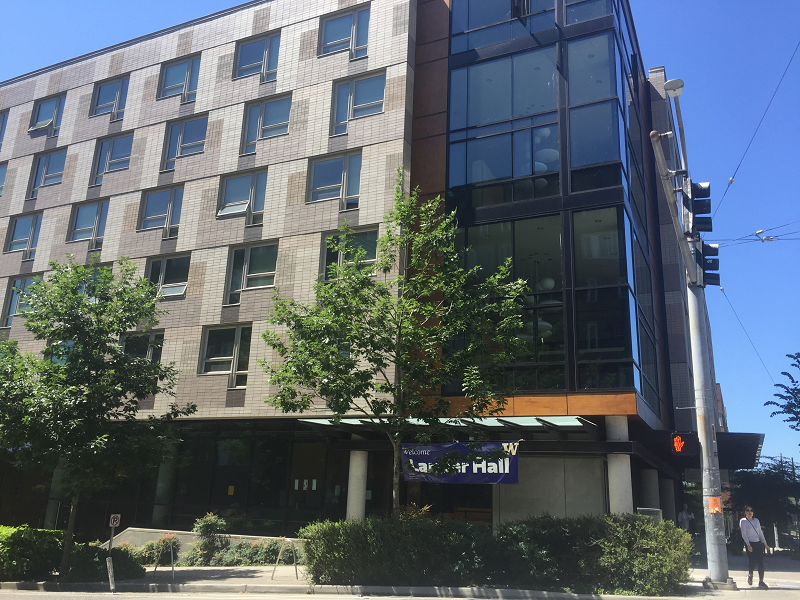 The participants stayed at the University of Washington, in Seattle. Since the registration was set up where we were staying, both the registration and checking was done at the same place. 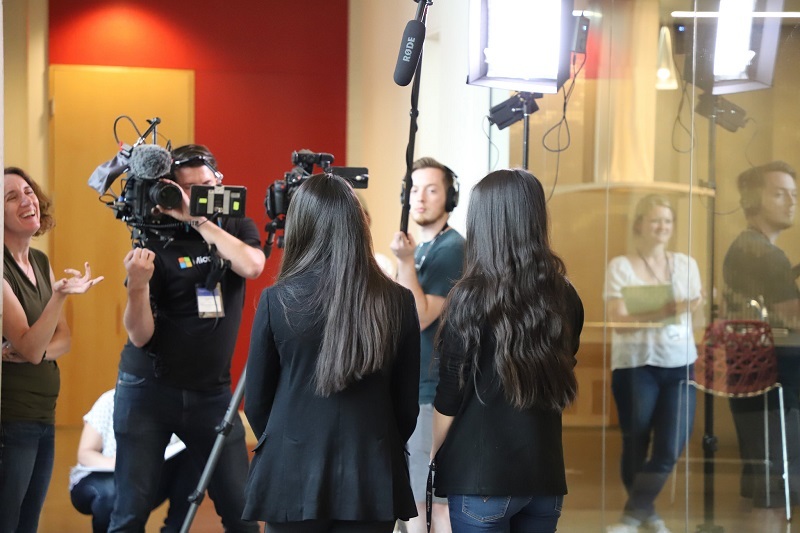 After registering, each team was filmed for an interview. We could see the Microsoft filming crew all over the venue. In late afternoon, we were called to a briefing session. This was the first time for all the teams to gather in one place. As you can see below, we went out to take a group photo, after the briefing. 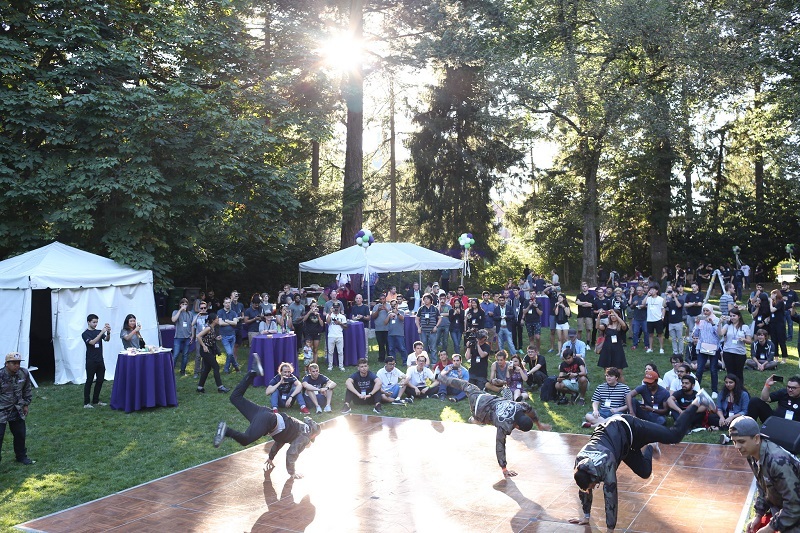 A reception event followed, with a series of activities for us to get to know each other, including a performance by professional dancers. When the program was over, most contesters went back to their room to prepare for the next day. We went to bed early, after doing another round of practice for the showcase. Like I said earlier, the first round was held in the form of a showcase. Participants were asked to present their product and answer questions within ten minutes to one judge at a time, for all four judges. We had to put more effort into the communication, more than we would in giving an ordinary presentations. Since we’d prepared a list of questions expected and answers for the showcase, we could answer the judge’s questions in a rather calm manner. As you can see below, the venue was crowded with a lot of interviews conducted by the media from all around the world. The semifinal qualifiers were announced on the second day. Only 15 teams out of 49 teams were qualified. Here is a victorious moment for us when our team was called out. The final teams were announced on the day of semifinals, and only three teams were qualified. 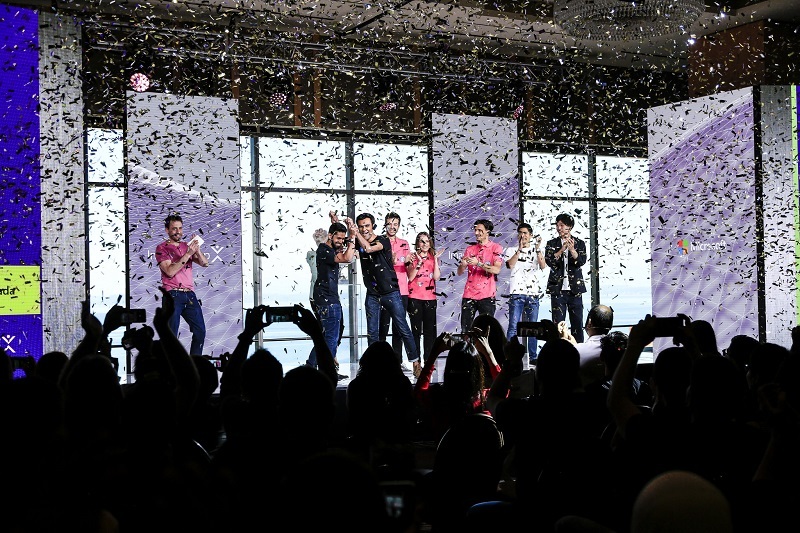 The announcement was made by Kate, famous as the Imagine Cup Master of Ceremonies. The team that was first announced was, “From… Japan! Team Mediated Ear!”. That was us! We got into the final round! The final teams were taken to the Four Seasons hotel, the venue for the final round. We rehearsed there and filmed a video introducing us. 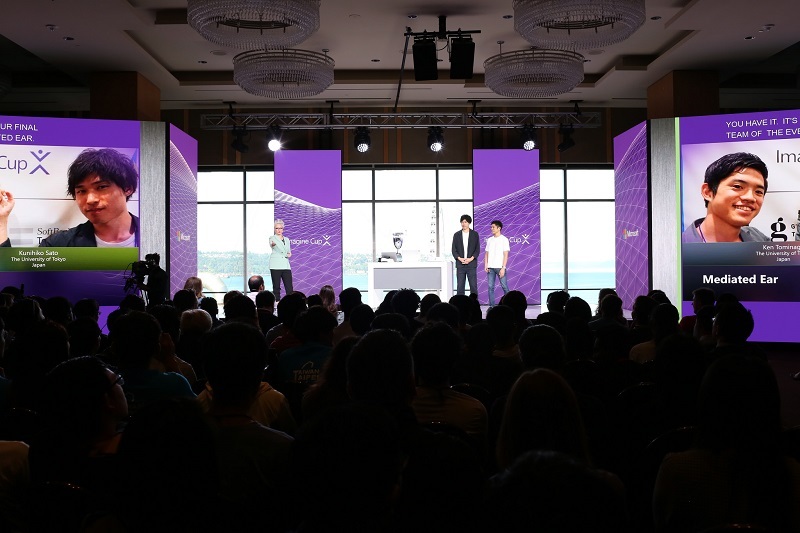 Just like in the semifinals, teams were to give a three-minute presentation followed by a Q&A session. The result would be announced after all the presentations were given. Satya Nadella, Microsoft CEO, gave a speech in the middle of the final round. If you are interested, watch the video of the final round. We were the last team to present. The atmosphere and the judges overwhelmed us but we believe we delivered the values of our application quite well to our audience. Finally, the moment came. Third place goes to… Us! We were awarded third place! The winner was Team smartARM from Canada. 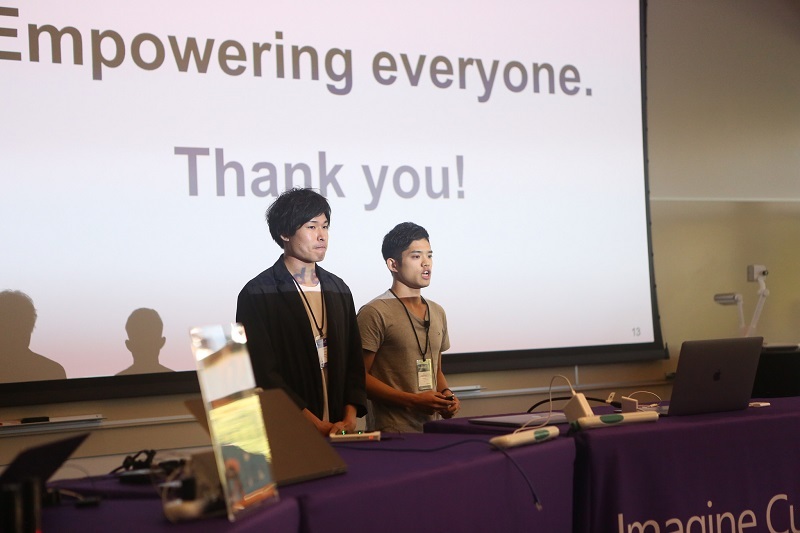 Although we didn’t get first place, it was an honor for us to win third place in a competition with more than 3,000 teams participating from all over the world. 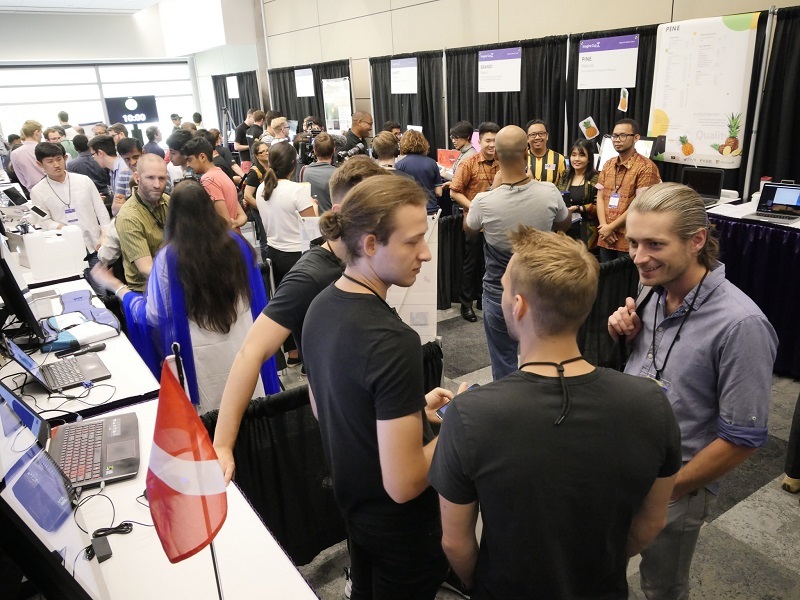 Also, having opportunities to communicate with other team members was a great part of attending the Imagine Cup World Finals. Imagine Cup is probably the biggest IT contest where you can meet with people in the field of computer science from all around the world. So, if you are studying computer science or any similar field, please have a go. In Japan, regional finals are open every Winter. If the rules haven’t changed, there would be no age limit, so doctoral students can apply too. However, please do check the latest rules and regulations, because they tend to change slightly every year.